METASITU is a collective for developing future urban scenarios, founded in 2014 by Liva Dudareva and Eduardo Cassina. Often finding solutions by shifting existing paradigms and subverting existing behaviors, re-directing existing systems towards other ends; METASITU’s projects are directed towards innovating strategies for resilience through building a body of knowledge and understanding about the way (urban) territories are inhabited. METASITU practice is framed within the precept of Ecumenopolis, the understanding of the whole World as one continuous urban fabric. Liva Dudareva was trained as a landscape architect in Latvia and Sweden, before moving to London to work as a researcher at CHORA. She then continued her studies in landscape architecture at the Edinburgh College of Art, before joining the award-winning landscape architecture practice Gross.Max in Scotland, where she worked conceptualising, developing and managing projects world-wide. She then moved to Moscow to explore new ways of representation and urban research at the Strelka Institute. She co-founded METASITU, a collective devoted to the exploration of future tactics. Eduardo Cassina is an architect and urban sociologist trained in the United Kingdom, Portugal, The Netherlands and China. He has worked as a researcher and exhibition designer for the Guggenheim museums in Venice and New York, as well as for the Netherlands Architecture Institute (NAi). 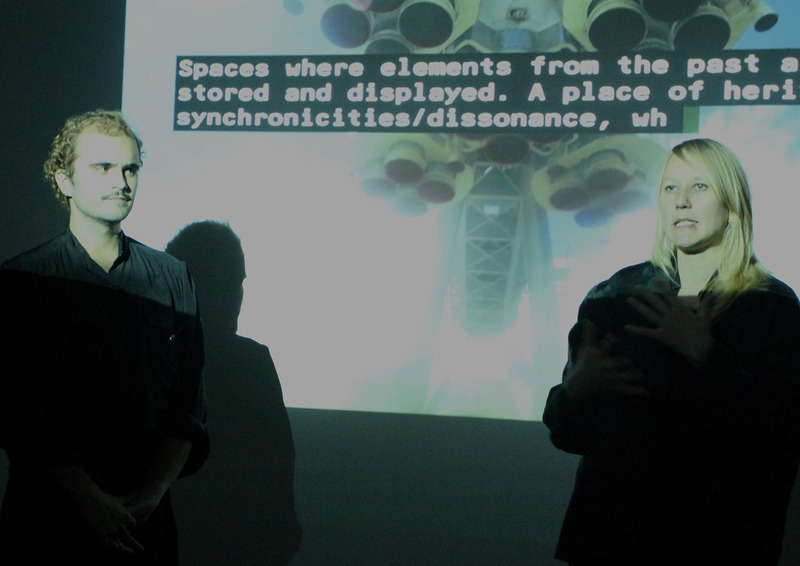 After working as an urban researcher for Goldsmiths, where he developed new methodologies to visualise the sociological phenomenon of Chinese commercial landscapes in Southern Africa, he moved to Moscow to join the Strelka Institute, where he continued his exploration of representation of urban data in new and innovative ways. In 2014 he co-founded METASITU.